The Monkees Are Still Rocking After 50 Years! It was a packed house at The State Wednesday, October 26th as Micky Dolenz and Peter Tork took the stage and proved that even after 50 years they could still rock. 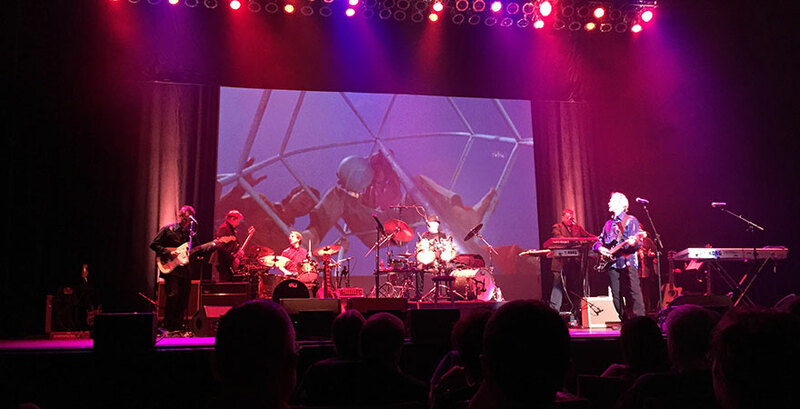 Celebrating 50 years, The Monkees stopped in New Brunswick as part of their Good Times! Tour. It was a fun filled night for ages young and old. As someone who grew up watching The Monkees it was an opportunity I was glad I did not miss. It was a night filled with memories as different scenes from the sitcom played on the screen behind Micky and Peter. As soon as they started playing “Listen To The Band,” there was not a moment of silence as they moved right into “Last Trian to Clarksville.” They played “She Makes Me Laugh,” a new single on their latest album Good Times! along with “You Bring The Summer.” But playing the new songs was not the only surprise that Micky and Peter had in store. After singing “Steam Engine” for the first time on tour, Peter told the story of how they stole the “way back machine” from a dog and a boy named Sherman, and went back in time so that they could bring Davy Jones’ voice back with them. It was almost silent in the theater for the first time that night as Davy’s voice began to sing “Shades of Grey.” It was a fitting tribute to an amazing musician whose loss is still felt by so many. 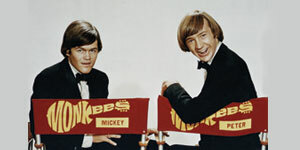 The show was far from over as Micky and Peter played and sang through over 30 of their songs, including “For Pete’s Sake,” a song written by Peter and was picked to be the closing song for the sitcom. But it would not have been a Monkees concert if they had not played “Daydream Believer,” “Pleasant Valley Sunday,” and “I’m A Believer.” It was the perfect ending to an amazing show. The Monkees to perform at The State as part of their 50th Anniversary Tour!